Discussion in 'High Yield Investment Programs (HYIP)' started by rata, Nov 23, 2018. 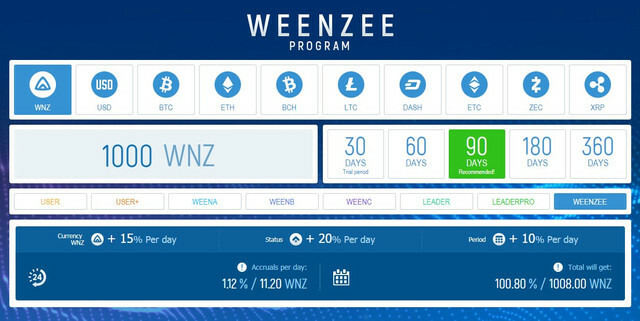 10 options currency: WNZ, USD (PM), BTC, ETH, BCH, LTC, DASH, ETC, ZEC, XRP. 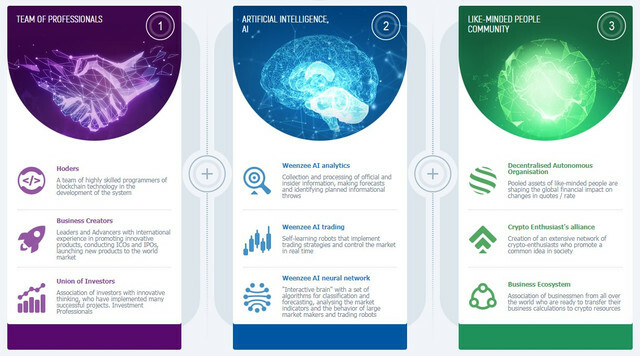 I will share with you what charges I receive and what news the project publishes. 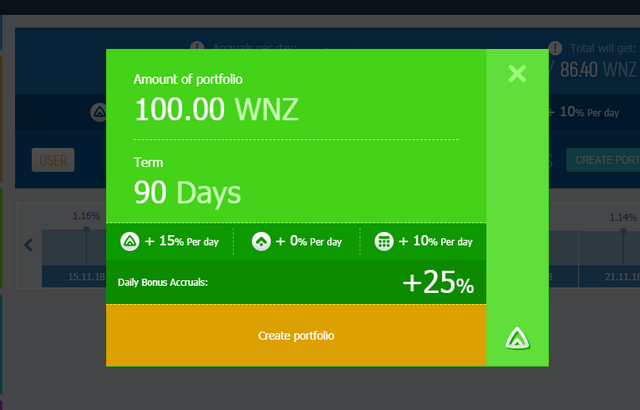 The System offers: 5 options for investment periods 10 currency options. The amount of 3.95 USD has been deposited to your account. Accounts: U18493892->U1****. Memo: API Payment. 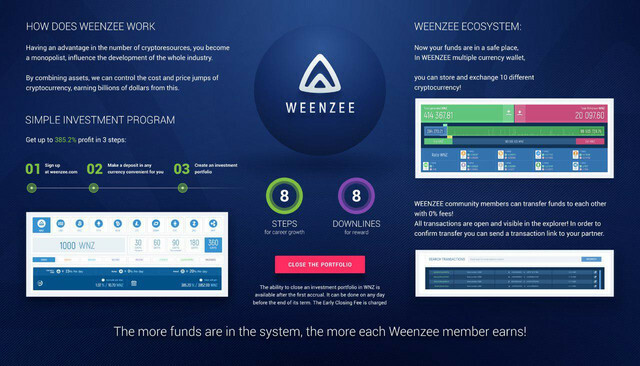 weenzee.com.. Date: 14:31 03.12.18. Batch: 238415271.